Ambani weddings have always made it to the headlines for their grandeur. 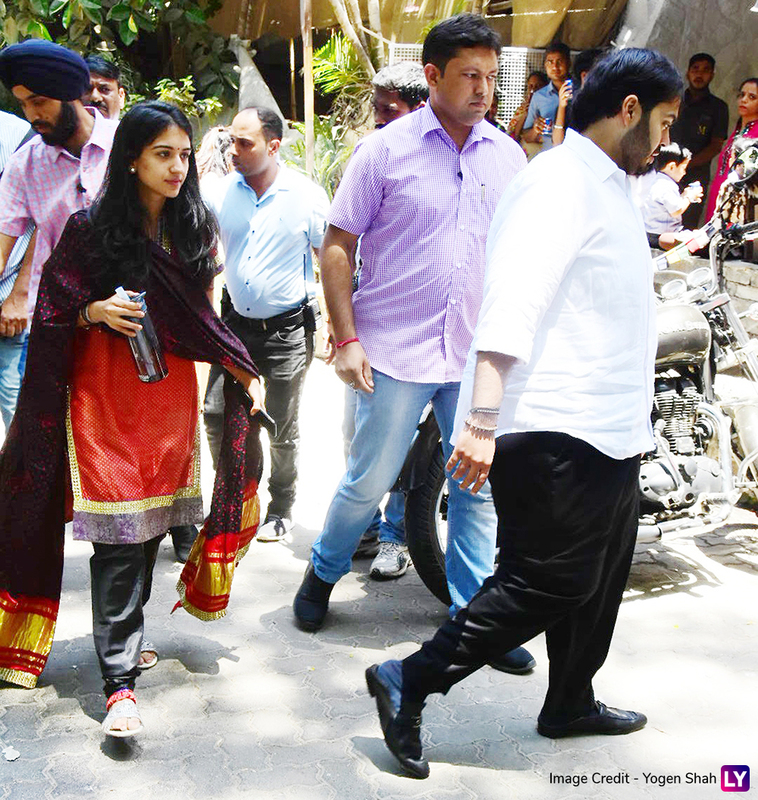 But other than the married couples, all eyes were on the rumoured pair of Anant Ambani and Radhika Merchant. While there haven't been any official confirmations on the two of them dating, they were almost always spotted together. Now once again the two were seen in Bandra, this afternoon. 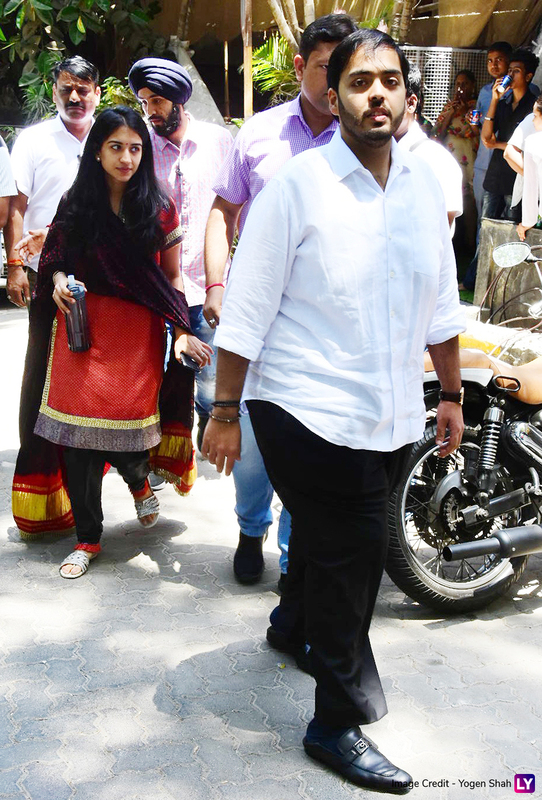 Anant Ambani wore a white shirt and black trousers, while Radhika was seen in traditional attire. Anant Ambani-Radhika Merchant's New Photo Hints at Another Big Announcement From The Ambanis? There alleged couple's pictures have even fuelled some engagement rumours in the past. The Ambani family, however, had denied any such news. The elder siblings Akash and Isha Ambani got married to Shloka Mehta and Anand Piramal respectively in grand ceremonies. But the youngest sibling is also in the news for the link-up with Radhika Merchant. Who is Radhika Merchant? 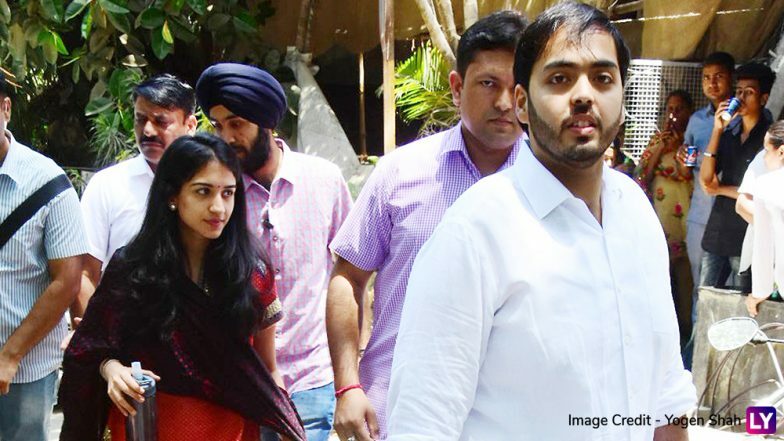 All You Need to Know About Anant Ambani's Rumoured Girlfriend, Check Pics and Videos. The rumours about the couple fuelled, even more, went a video from Akash Ambani-Shloka Mehta's wedding ceremonies, which saw the audience asking for a kiss from Anant Ambani and Radhika merchant. While the guests cheered for Akash and Shloka, others were expecting for Anant and Radhika to kiss as well. The video ended there but it is quite understandable that there is something brewing between the two. Radhika Merchant is the daughter of Viren Merchant, Vice and Chairman of Encore Healthcare. She has also worked as a Sales Executive at Isprava, a real estate firm. She has a degree from New York University in Politics and Economics.